My kids and I were very excited to try the relaunch of My First Crayola. My kids are 5 and 7, but my 5 year old is still in preschool. 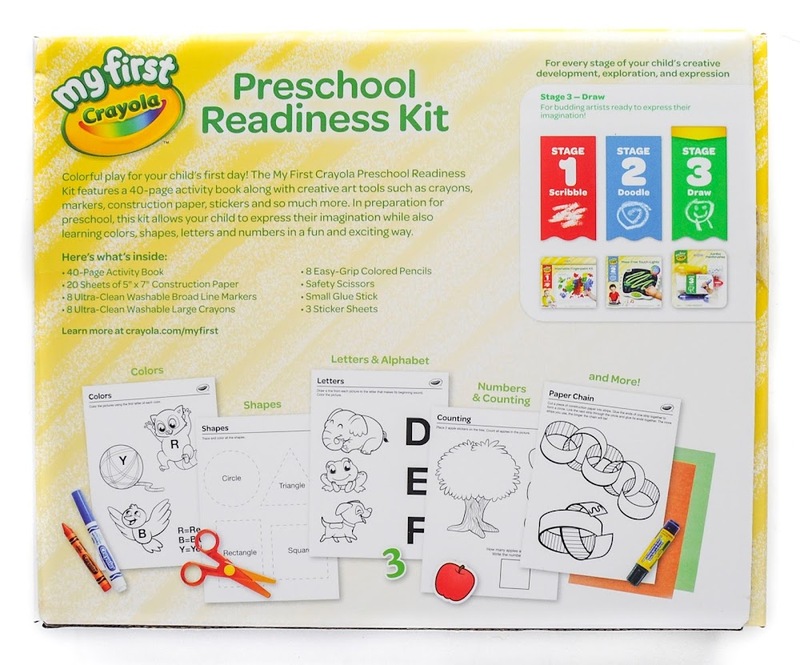 Many of the activities were well suited to his development level especially the preschool readiness kit. He loved the scissors. We are also excited to share these with our new baby coming in June later this year when they hit the first stage. Crayola sent me these in exchange for an honest review. 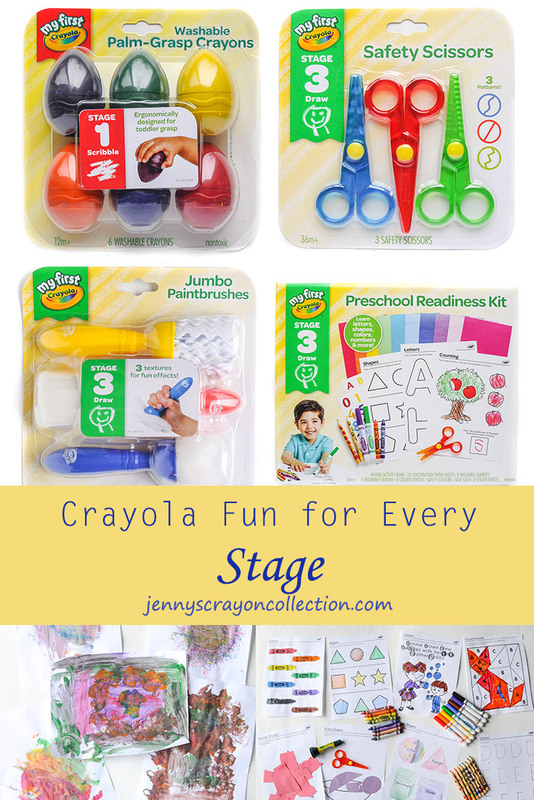 Crayola has had My First Crayola for a while, but this year they relaunched it with stages. Each stage is a different development level. I think this is perfect. 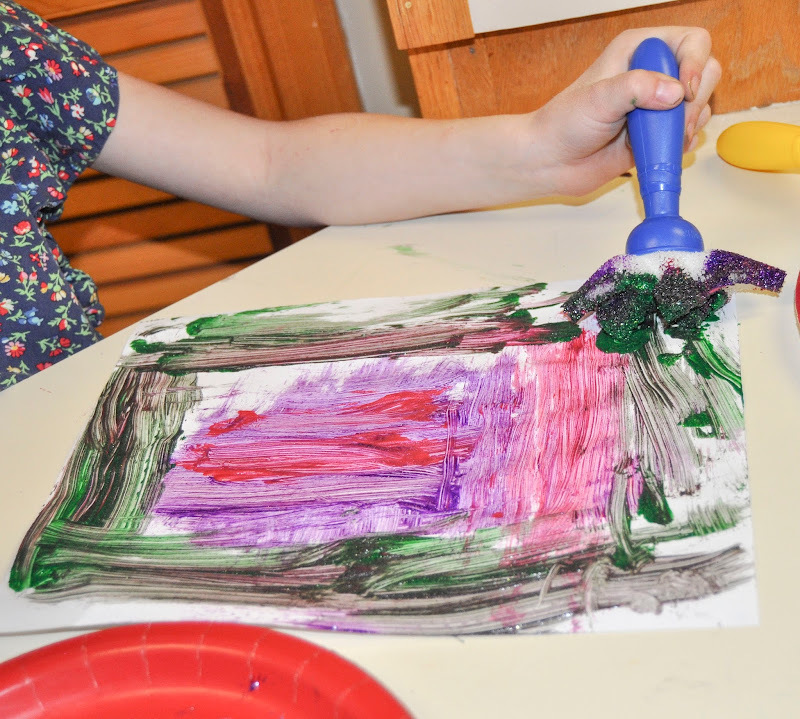 It is a lot easier to buy art supplies for small kids based on what where they are developmentally. 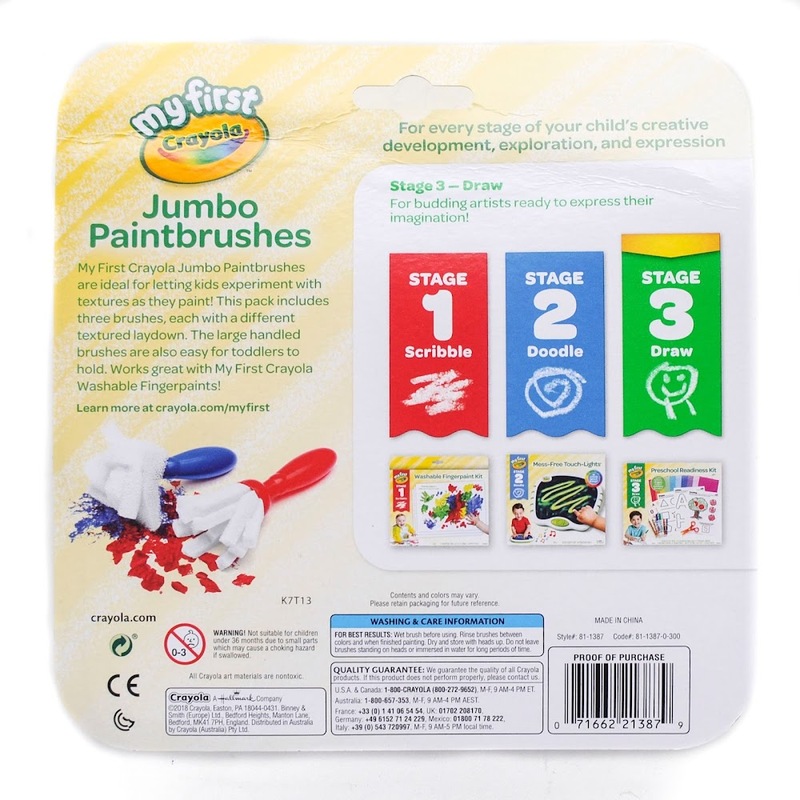 On the Crayola website it describes each stage. 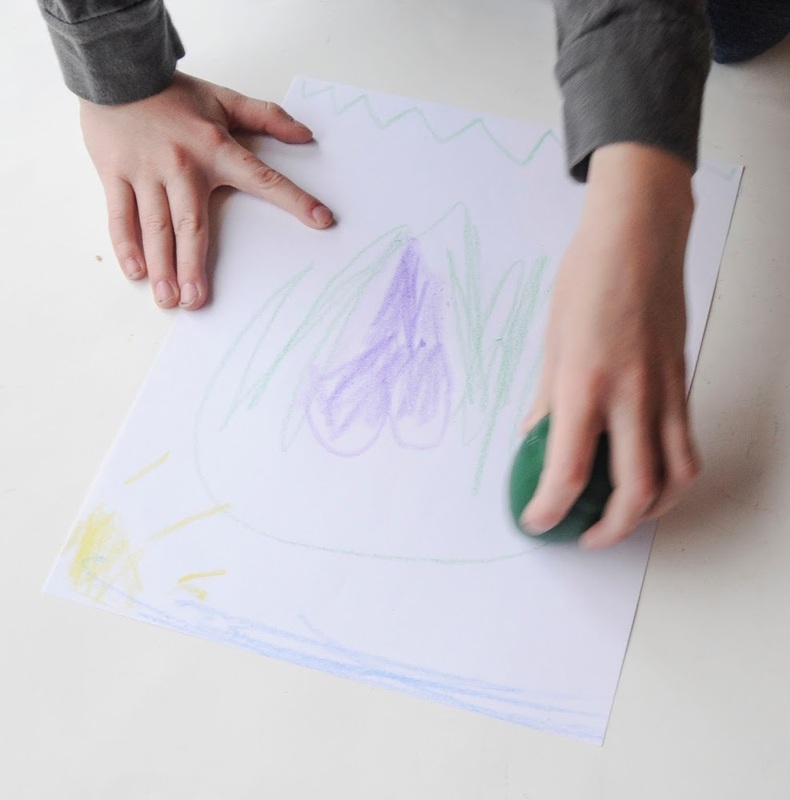 Stage 1-Scribble: For litte scribblers making their first colorful marks. Stage 2-Doodle: For daring doodlers discovering swirls, lines, and shapes! 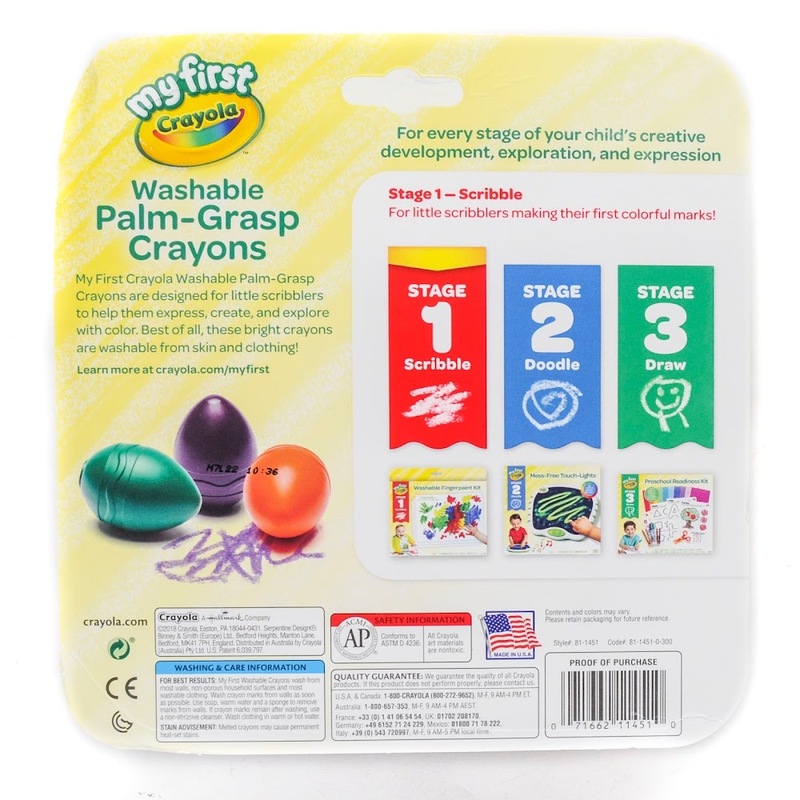 I received Palm-based crayons for Stage 1 from Crayola. 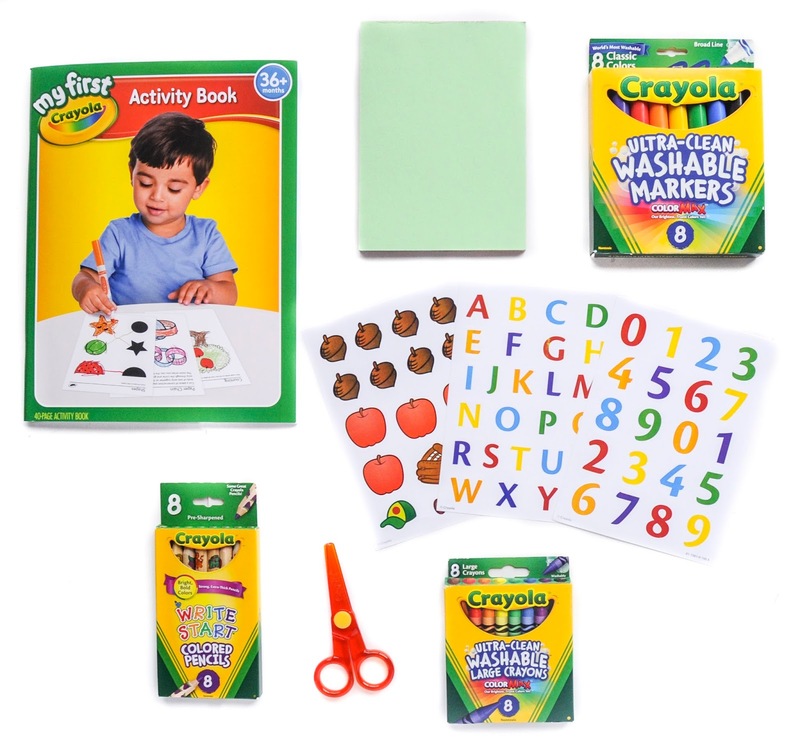 Other supplies include finger paint, which I used with my kids when they were small and in preschool, and an art smock. 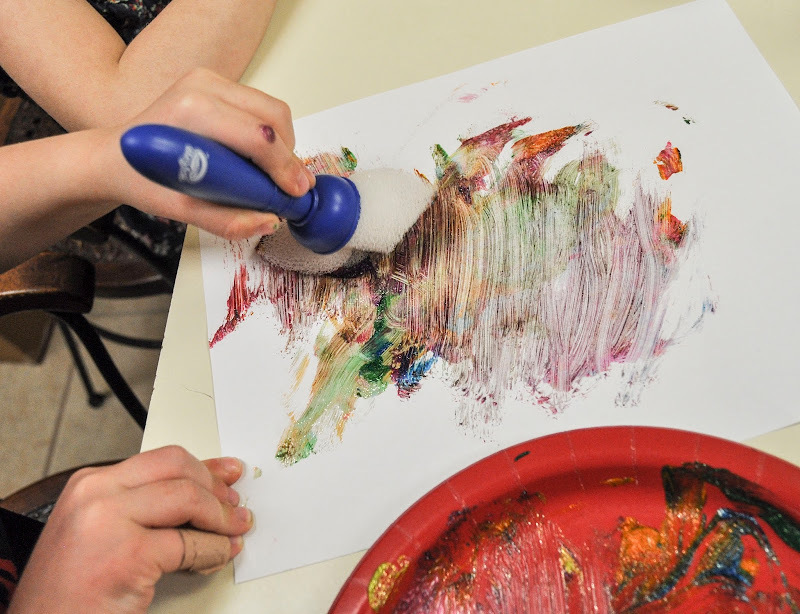 We also have used art smocks, it helps keep them clean when painting. I did not receive any Stage 2 products. 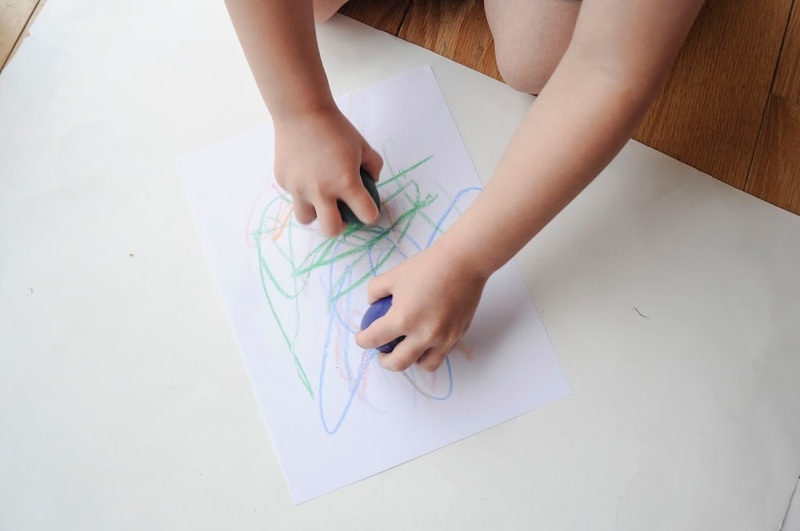 These include Washable paintbrush pens that look really cool, tripod crayons, we have used these in the past, touch-lights board, tripod grip markers, tripod grip stampers, and double doodle board. 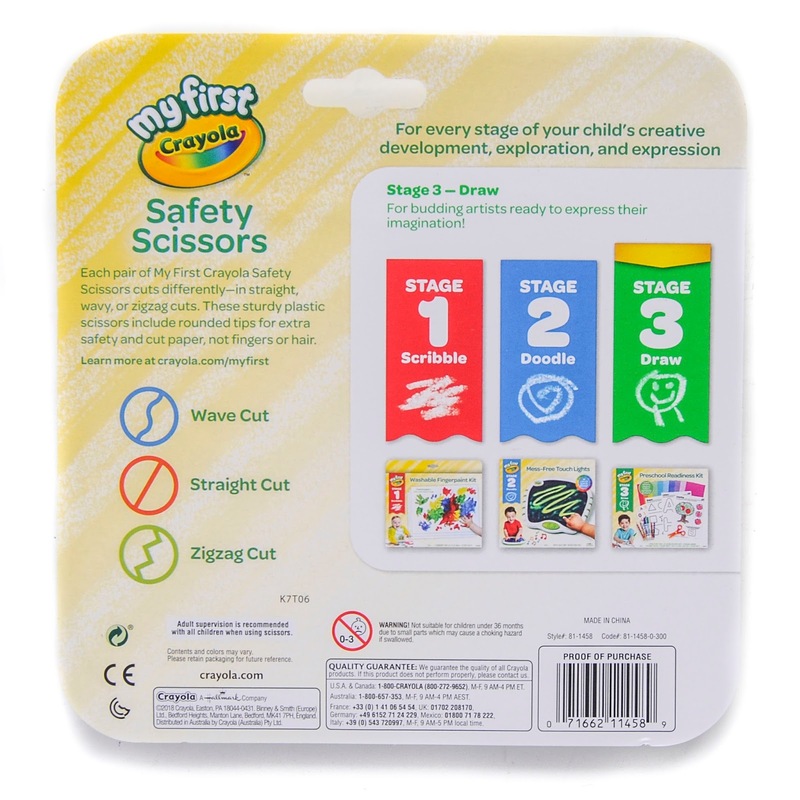 For Stage 3 we received some safety scissors, which are not sharp but cut paper! My son loved these and pulled them out of the Preschool Readiness Kit when we got it and cut for a long time. For a mom whose son who has cut his own hair, tried to cut cheese and will cut up anything these are a dream. No showing off new hair cuts with these scissors. We also received some jumbo paintbrushes, and a Preschool Readiness Kit. My kids loved trying out these large crayons. 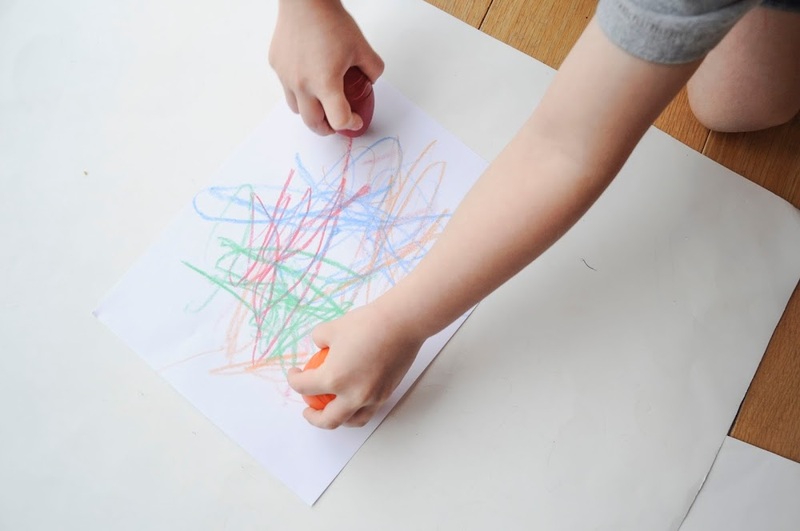 My daughter made a picture and my son had fun scribbling with them everywhere. I did not have these when they were small, but I am sure they would have loved them then too. I can not wait to share these with the new baby. 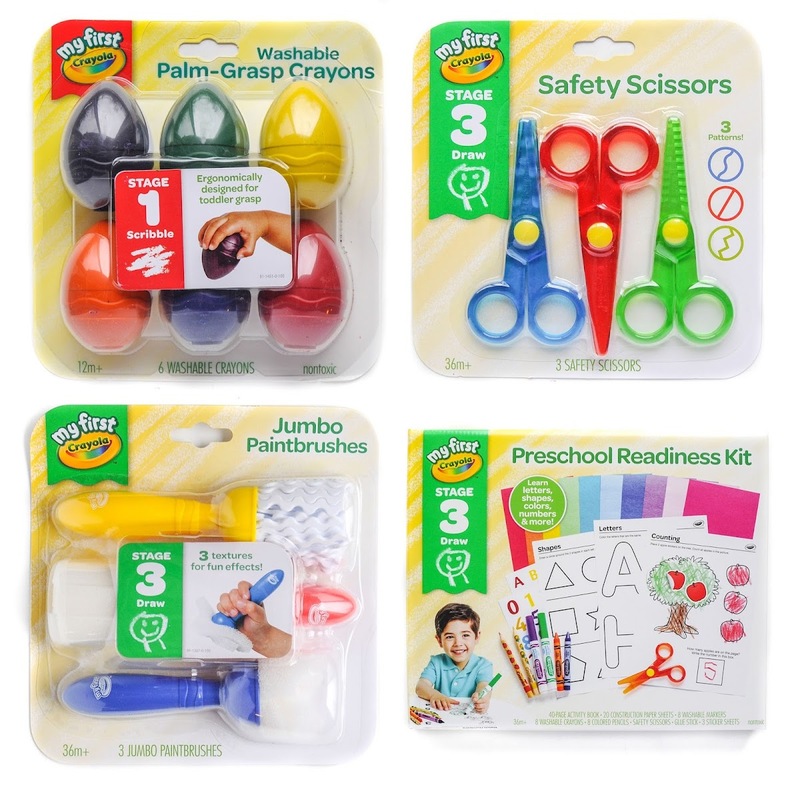 The Preschool readiness kit came with an activity book, construction paper, Ultra-Clean Washable Markers, Write Start Colored Pencils, 3 pages of stickers, scissors, 8 Ultra-Clean Washable Markers, and some glue (not pictured). I loved that all the supplies for the activities in the book were included. Here is all the work my kids did with these pages. We are moving this week and it kept them engaged for a few hours which was perfect. My daughter wanted to color the Colors pages color order (I do not know where she gets that from). She made an adjustment to the shapes pages and colored the odd one a different color instead of circling. I think this is great, I love it when kids come up with their own ideas. My son colored the Secret Picture. I was so proud he found all the A's. He did not stick to one color, but colored all the A's. My son and daughter both used the scissors for their shapes. My son LOVES glue. He did want to keep washing his hands over and over using the glue. He used different shapes of paper to create the star. My daughter was able to cut fruit for her bowl using the scissors including circular shapes. My son wrote his letters and knew them all. Preschool has been working for him! We do a preschool coop and sometimes I wonder if the kids remember anything, but they do and are super sponges. 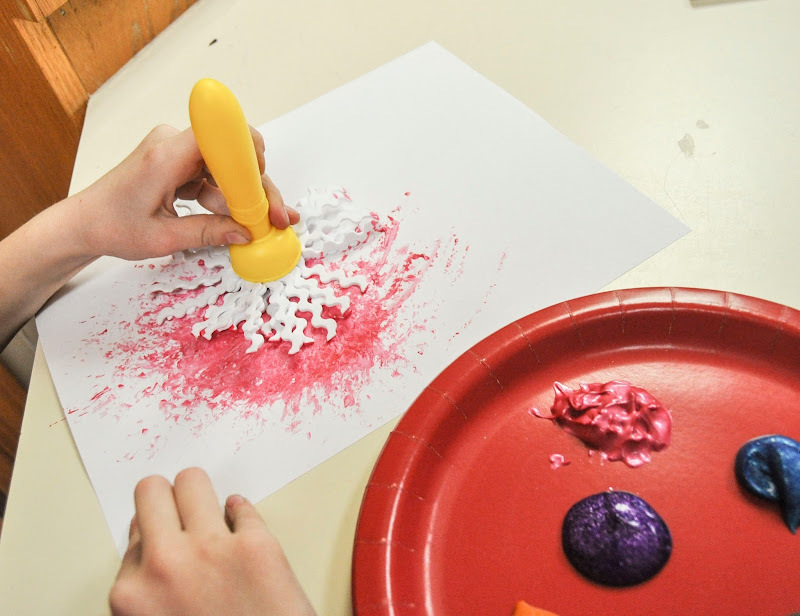 We did not get paint with the paint brushes so we improvised and used glitter paint. My kids said that painting was their favorite activity. I do not know if it was because it was glitter, or if it was the fun brushes. The brushes all left different patterns when used on the paper. 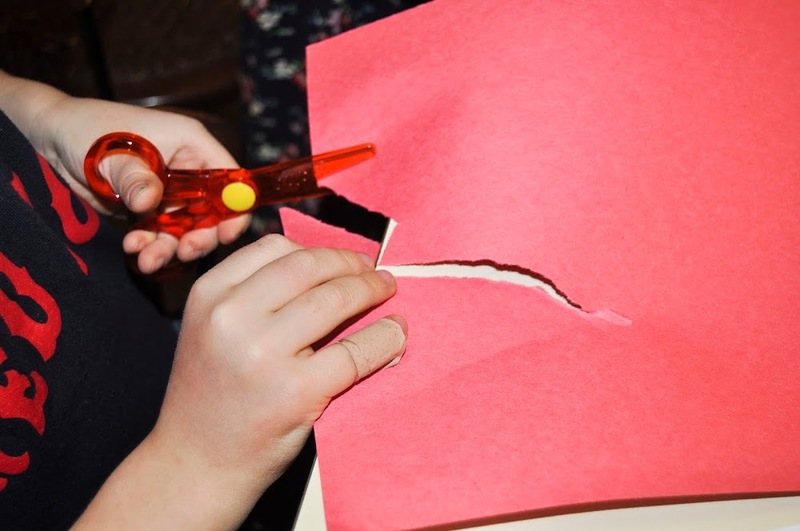 Here is my son cutting the paper. He loved it and cut for a long time and I did not worry because they were not sharp. 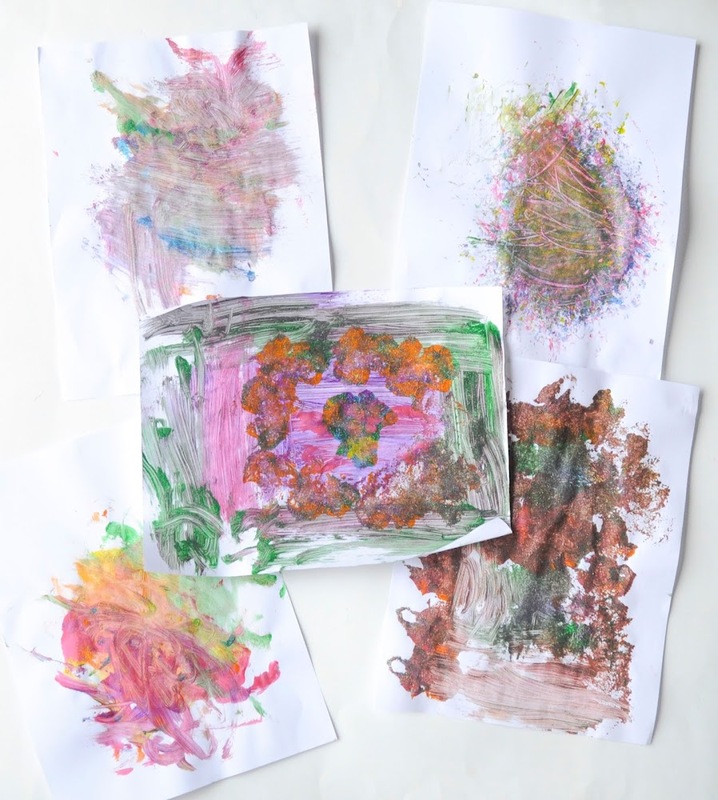 I loved My First Crayola and I especially loved how they are divided into stages now. Kids progress at such different rates. 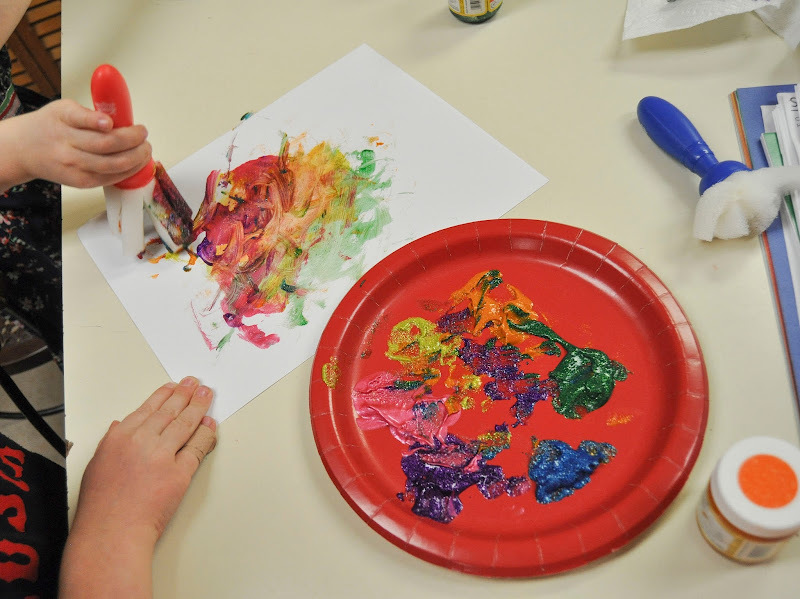 We loved the scissors, paint brushes and the activity book. I would love to see more activity books based on different themes, ie Jungle, Transportation, Bugs, Shapes, Numbers, Letters, Plants, Christmas, Summer etc.With teaching a coop preschool it is so useful to have activities. I would also love older books too for elementary school kids. A book like that with supplies inside would be SO useful. My daughter is always begging me for activities. I print a lot of pages for her. 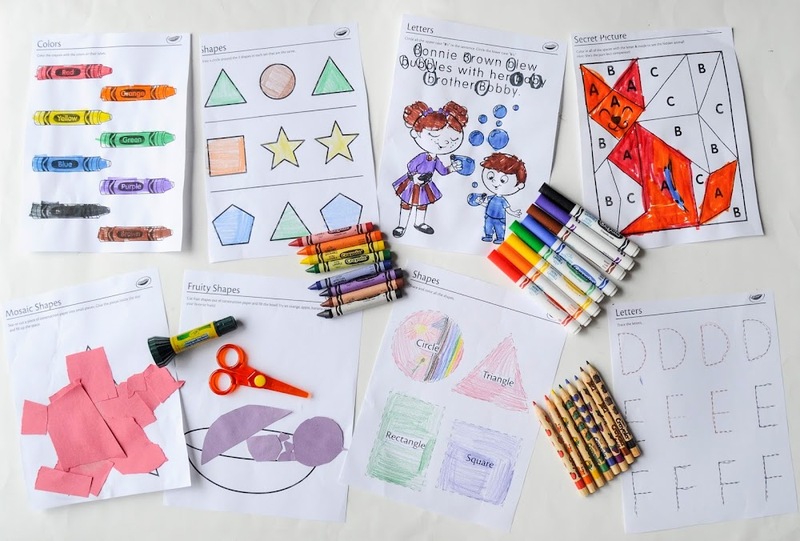 We will definitely be using these supplies in the future. Here are the back of the boxes for those interested.